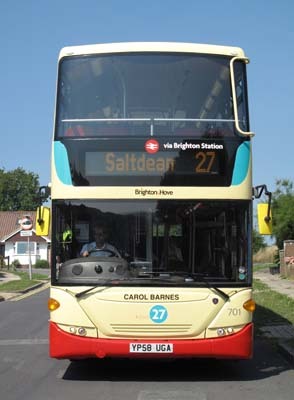 Connections with Brighton and Hove : Carol Barnes was one of Britain’s best loved newscasters because she didn’t seem to have any airs and graces and was a natural communicator. Born in Norwich and educated in London, she spent much of her life in Brighton and was a well known figure in the resort. She started work as a supply teacher but quickly became a journalist, joining ITN in 1975. Carol Barnes covered unrest in Northern Ireland and the Brixton riots among many other stories before she became a newscaster in 1982. She left ITN in 1999 after winning many awards for her work. She had a daughter, Clare, from her relationship with Denis MacShane, who later became a Labour Minister., Sadly, Clare died in 2004 when skydiving in Australia. 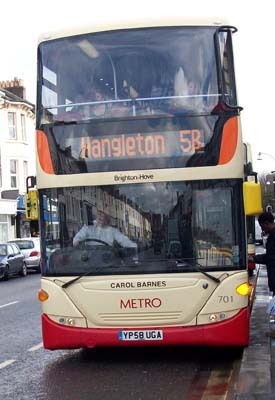 Carol Barnes married Nigel Thomson, an ITV cameraman, in 1981. They had a son, James, before their divorce in 1999. She played a leading role in Brighton life, being a magistrate for many years and supporting the campaign to have a directly elected mayor. She was a qualified pilot and also enjoyed golf. In January 2008 she presented a programme about the descent of her former colleague Ed Mitchell into alcoholism. 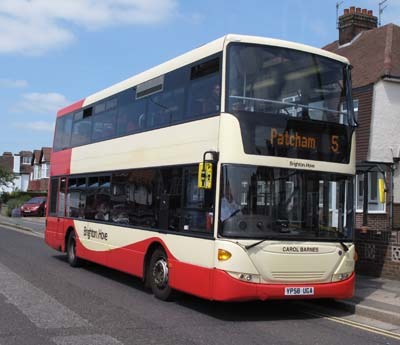 She suffered a stroke two months later and never recovered, dying aged 63 in the Royal Sussex County Hospital. A memorial service was held in the Grand Hotel attended by many of her former colleagues. 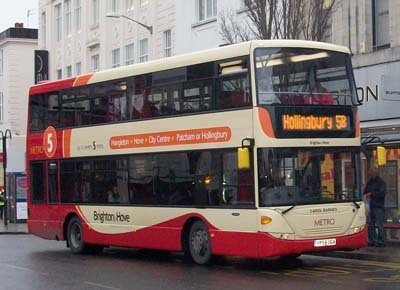 701 Scania Omnicity - carried name since delivery in December 2008. Metro 5 branding removed July 2013. 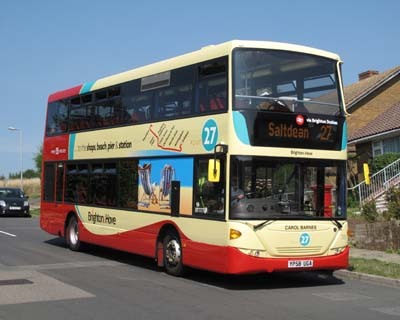 Repainted into Route 27 livery September 2013. 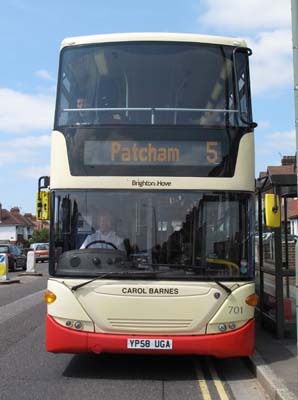 Bus sold in February 2018.